Contact your local newspaper or business journal to find out the appropriate contact person who will be instrumental in getting your press release published and develop a friendly business relationship with that person. Find out their submission protocol and format for press releases and abide by it. Always include your name and contact information in case they have questions about your submission. Also, find out how much lead time they need to get your press releases in print, this is especially important if your press release is time sensitive. Don’t forget to thank your contact person and show them appreciation periodically by taking them to lunch or sending them a small gift card to a local coffee shop. A little kindness will go a long way in building your relationship with the contact person. When submitting your press releases to local television and radio stations, take a similar approach as described under “Submit your press release to your local newspaper or business journal” above. Also take into consideration the following: Is your story of interest to a mass audience? Can it be told simply and concisely? Will it grab the attention of a consumer? Can it be done in 30 seconds or less? These are all things your radio or television station will consider so be prepared. The same tips apply here as are described under “Submit your press release to your local newspaper or business journal” above. Each trade publication will have their individual set of requirements. Developing an ongoing business relationship with key people within their organization cannot be stressed enough. Your clients have a special interest in you. They will be very interested in knowing about updated news related to your professional upward movement. Utilize your email distribution list to keep your clients and prospects updated on your accomplishments. This will also serve as an opportunity to get your name in front of your clients and prospects as a reminder that you are there for them. Direct mail isn’t dead by any means, just ask anyone running for political office. Direct mail can be an effective means to stay in touch with your clients and prospects. By creating a good looking direct mail piece with the content of your press release, you will have another opportunity to reach your audience with important information about you and your business. You can do this very easily by simply having someone read your press release into a microphone and recording it. Another variation of this would be to have someone interview you based on the information in your press release and record the interview. The recording can then be published to sites such as iTunes, Podbean or BlogTalkRadio. You can also archive your podcasts on your website so your website visitors can listen to information about your achievements. This can be an especially good resource on your mobile site. Many businesses have newsletters they send to their clients, customers, and/or prospects— and we certainly recommend that you should have one too! Press releases contain great information that you can use as content in your regular publication. Make sure your website has a “news” or “pulse” tab where you can begin archiving your press releases. Having an archive of press releases tells your website visitors that you are active, making news, and moving forward. 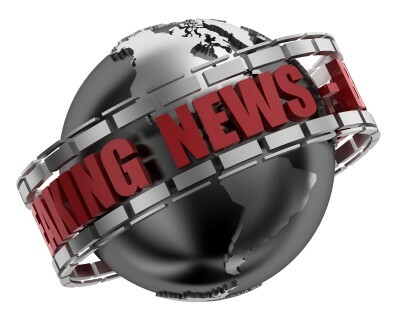 Press releases support your credibility as a professional and as an expert in your business. Let your website visitors have a historical view of what you have accomplished by posting your press releases and archiving them. Most businesses have a Facebook presence. If you don’t, you should. Use this form of social media to let your Facebook fans know about your most recent accomplishment by posting your press release on your Facebook page. Whenever your fans “comment” or “like” your post it has a greater likelihood of being seen by potentially hundreds of others. If they “share” your post it has the potential of being “shared” countless times by people you don’t even know. Twitter is another social media tool that you can use as a means to promote yourself and your business. You can send a message (a “tweet”) on Twitter and attach a link to your press release. Twitter also makes available the potential of having others “re-tweet” your press release so that it will be seen by countless Twitter subscribers.